Chuck Jordan is one of the most famous car designers of all time and, like all enthusiasts, he loved his Ferraris. 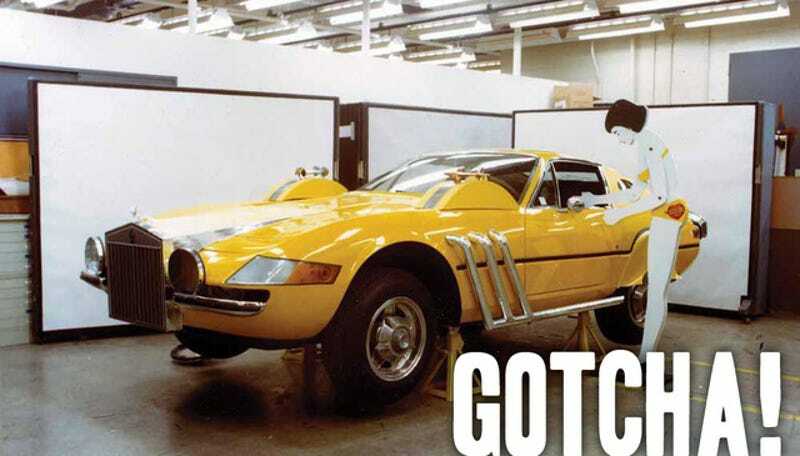 The only problem was he was the lead designer for General Motors, not Ferrari, so one day his employees at the GM Design Center decided to have a little fun with his prized Daytona. Here's the rarely heard story of an incredible car prank. If you've ever daydreamed about being a car designer, and let's face it, we all have, you've probably mostly been imagining the exciting early and late stages -– the exciting early concept sketches, and the rapture of seeing your design in metal. All that crap in the middle — the measuring, the math, the tedium — that's probably not what you're imagining. Still, being an auto designer is hard work, and to break that tension pranks get played. Not just pranks, but auto designer pranks, which are even better. 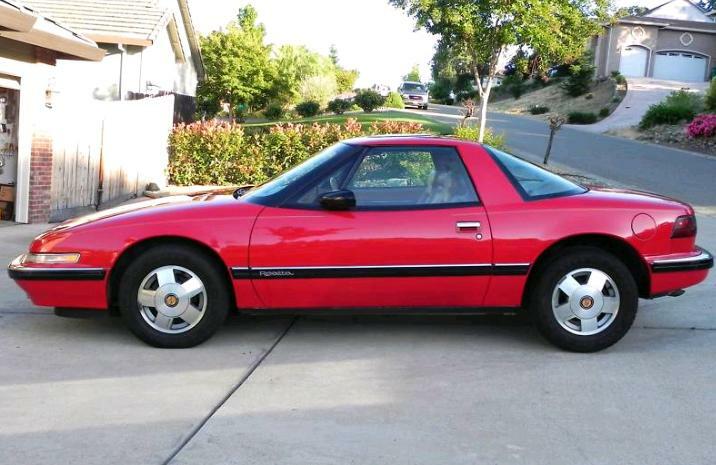 Like the one in that photo, played on legendary GM design head Chuck Jordan, the man who brought GM's design into the modern age with cars like the Buick Reatta and before that with icons like the Opel GT and the tailfin-zenith '59 Eldorado. Besides all the great cars Paul worked on and his wonderful personality, the most memorable thing about Paul was his infamous mock-ups. Who else would mock up a broken brick wall around a rear end buck push against it as if it crashed through, or remember the door you mocked up in the hall under the EXIT sign that had no door and weren't you one of those who mocked up Chuck Jordan's Ferrari Daytona into a Super Fly car? Long story short: Chuck Jordan loved Ferraris, and Chuck Jordan loved parking them in GM Design garages (and having GM Design staff occasionally tend to them). Doing so meant they were occasionally accessible to the designers...who then would pull stunts like this. Priceless. Take that, Chuck! How's that sleek Ferrari look with a "heritage" grille, big fog lights, side pipes, and opera windows slapped on it? Ah, that's good. To clarify what exactly was done, it seems that Jordan's Ferrari was taken to the design studio, where it was severely debased by the designers festooning it with the absolute worst crap they had laying around from other projects— the grille, wheel skirts, side pipes, all that, some of it custom made to fit the Daytona, and even painted to match. I don't think anything was permanently affixed. Sadly? Still, it's all fun until someone snaps and starts to think this looks good. When this happens, we get things like the Blackhawk. So have fun, car designers, but, you know, be careful.